When the personal computer (PC) was first created it was essentially a business machine, designed for number crunching and word processing. As time moved on and the PC evolved, the standard beep capabily offered by the system wasn't really up to scratch - especially for playing games or creating sounds. The home computing world was the first to introduce on-board digital audio capabilities, but the busniess based PC lagged behind in this area so manufacturers began creating sound cards to take care of audio processing. Fast forward to today and the PC is very much a multimedia centre for many, taking care of gaming, video streaming and more - including music production - however the onboard sound chips which are used by most manufacturers are simply now up to the job of handling good quality audio. When you're producing you really need an accurate reproduction of the effect that your tweaking is having on your sound. 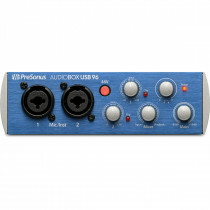 Mixdowns are reliant on good monitoring as well as the quality of recording and the audio interface is the essential link between the binary world of the PC and the analog world of sound. 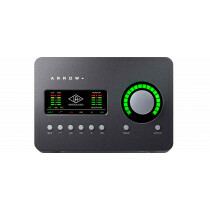 Having an audio interface with a good quality analogue to digial (AD) and digital to analogue (DA) conversion is essential and you 'll need an interface that's capable of this quickly as delays greater than 12 milliseconds are detectable by the human ear - this effect is referred to as latency.